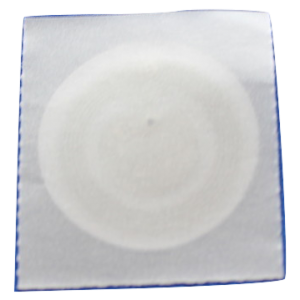 The iCogTM Pressure sensor uses the Freescale MPL3115A2 Precision Altimeter to measure pressure. Users should consult the relevant Freescale datasheet for more information about the sensor. 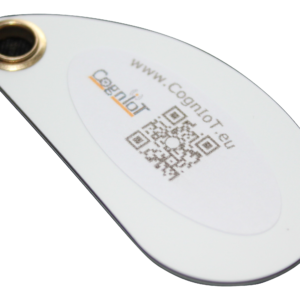 CognIoTTM iCogTM sensor boards come fitted with an ‘ID-IoT’ system chip. This is an EEPROM with 1kbytes of user storage (for calibration data etc.). The ID-IoT chip contains a unique 32-bit number to identify the sensor board. The Sensor – MPL3115A2 20KPA to 110KPA Fully Compensated 24-bit equivalent ADC resulting in 0.1 metre of effective resolution Direct Reading o Pressure: 20-bit in Pascals o Altitude: 20-bit in metres o Temperature: 12-bit in °C Programmable Interrupts Embedded FIFO allows data logging ID-IoT chip – eeprom Prewired for base I2C address Configurable for different addresses o A0,A1 address selection may be changed o Allows up to 4 iCogsTM on same bus o See application note for details 1KB user data space 32-bit Unique ID No. (UID) Option to fit pull up resistors on SDA/SCL lines if required NOTE: The iCog Sensors are shipped with a 6-way 0.1″ header that should be soldered into the sensor board.